At the PSI Automotive & Industry booth at Hannover Messe, KAMPF will present a predictive maintenance application – based on the integrative platform the@vanced – for the bearing of a winding station. Visitors can experience the data acquisition, supplemented by the KAMPF @dge Unit, and its evaluation and presentation in Hall 7, Stand A24. 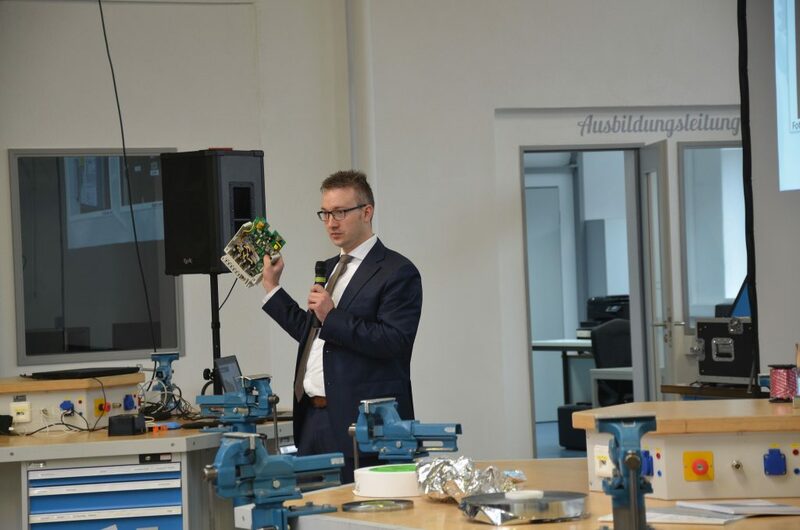 Image: (KAMPF) Severin Landwein presents the KAMPF Predictive Maintenance solution at the Hannover Messe. 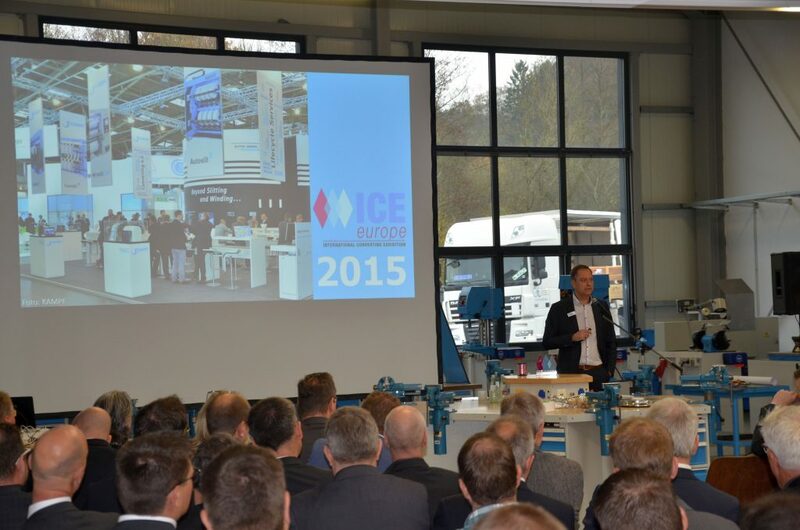 Severin Landwein presents the KAMPF Predictive Maintenance solution at Hannover Messe. 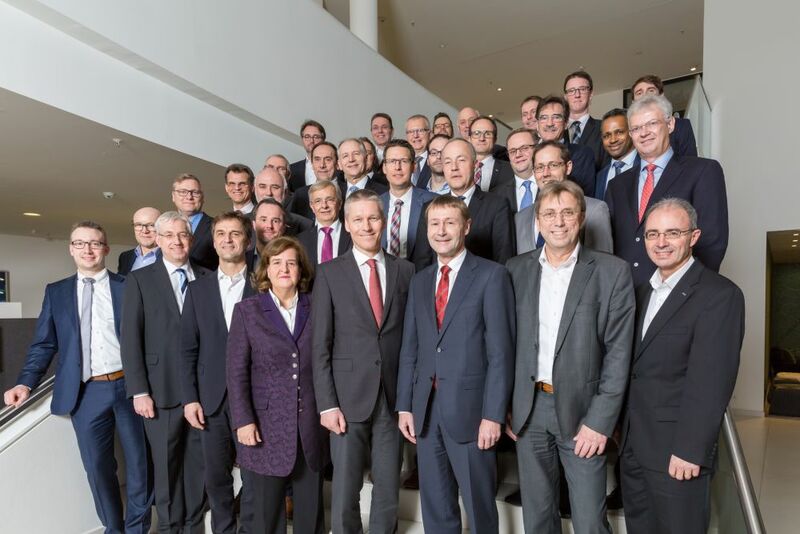 The inaugural meeting took place on 23rd January in Berlin. Dr.-Ing. 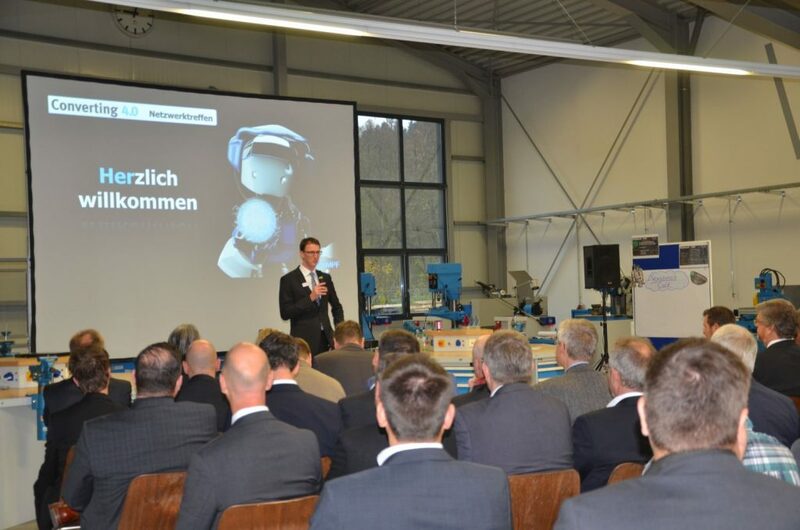 Donatus Weber, Head of Innovation and Industry 4.0 at KAMPF, will be responsible for the Technology committee of the expanded advisory service of the new association. “The foundation of MindSphere World represents another major step forward in promoting the ecosystem surrounding MindSphere as an open IoT platform. The broad-based expertise and the offering of all the MindSphere World partners will open up totally new digitalization potential for users everywhere,” said Member of the Managing Board of Siemens AG Klaus Helmrich. The members of the organization meet in committees to deal with issues such as the requirements placed on MindSphere by industry, data governance concepts and the Assocation’s PR work. “MindSphere’s open structure offers a wide range of benefits for us as users, in particular due to the manufacturer-independent link-up of machines and plants and also when it comes to the development of apps. Within the framework of MindSphere World, we can now also talk to other users about ways in which disruptive technologies are changing the face of the economy in general, and about the resulting business potential which could be utilized for IoT-based solutions,” said Bruno Geiger, Member of the Management Board of MindSphere World and COO/CTO of Eisenmann. “Because the development of standards plays a decisive role when it comes to establishing a worldwide ecosystem, the members of MindSphere World will be working together to come up with recommendations for standards in relation to MindSphere-based apps. We’ll also be drawing up suggested solutions for enabling interoperability between different MindSphere-based solutions,” said Andreas Oroszi, Member of the Board of Management of MindSphere World and Senior Vice President Digital Business at Festo. “As users, we’re all facing similar challenges: These include data governance, in other words managing the accessibility, usability and processing of data, as well as app architecture, and the homogeneous use of MindSphere components. From now on, we’ll be able to play a role in shaping these developments and putting forward the specific expectations we place in MindSphere,” said Michael Haag, Member of the Advisory Board of MindSphere World and Senior Vice President R&D at Kuka. · Index-Werke GmbH & Co. KG. 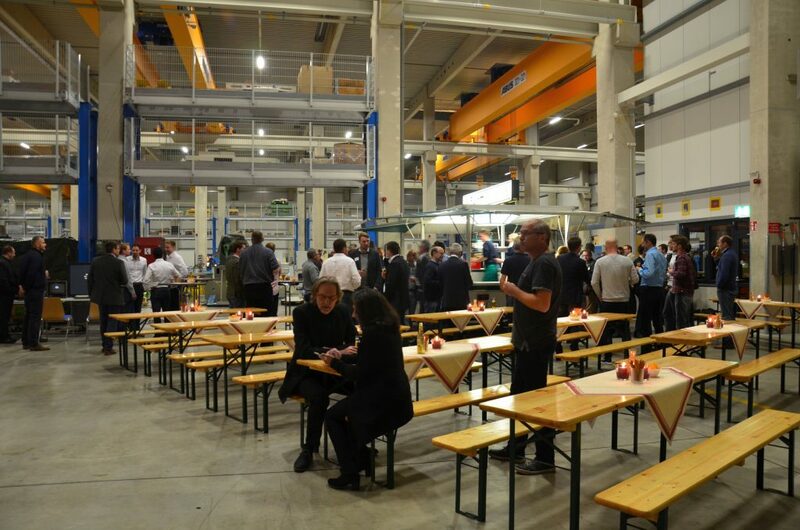 The inaugural meeting of MindSphere World took place in the recently opened innovative development and work environment “MindSphere OpenSpace”, a part of the new branch of Factory Berlin. Over an office space of more than 13,000 square meters, Factory Berlin – an initiative supported by the German Government, Siemens and other companies – brings established technology companies together with developers and startups. The key focus of the new startup campus is the Internet of Things. On the threshold of the age of digitalization, the “MindSphere OpenSpace” creates ideal conditions for the MindSphere World members and other users such as startups to drive forward the development of apps and digital services and to tap whole new markets. 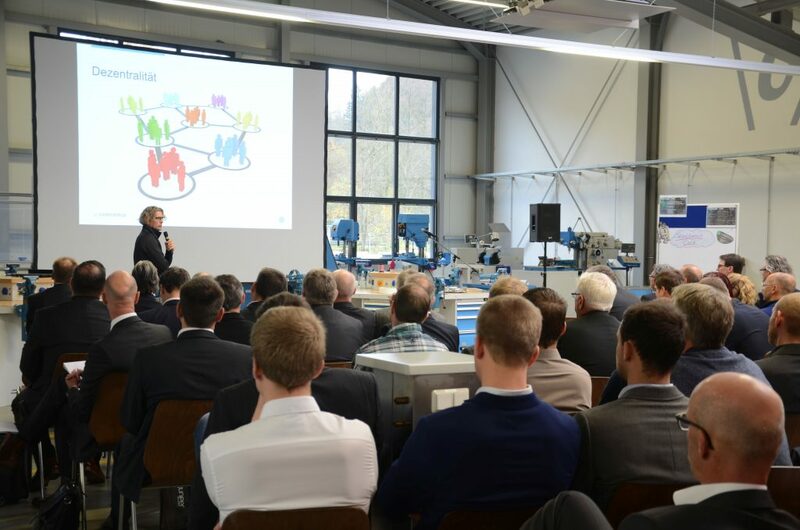 On 16.11.2017 the first Converting 4.0 network meeting took place at Kampf Schneid- und Wickeltechnik GmbH & Co. KG in Wiehl. 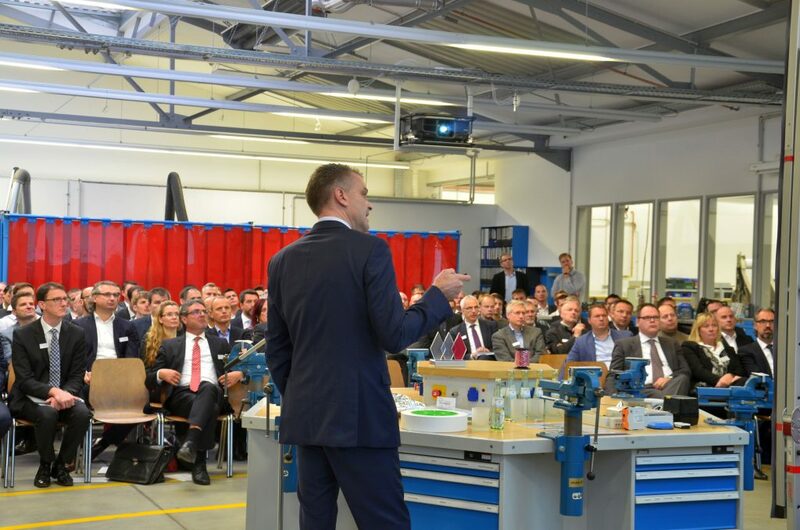 More than 70 visitors from 40 well-known companies dealing with the topic slitting and winding of web-shaped materials as well as specialists from the automation, IT and sensor industries gathered at Wiehl’s main location. 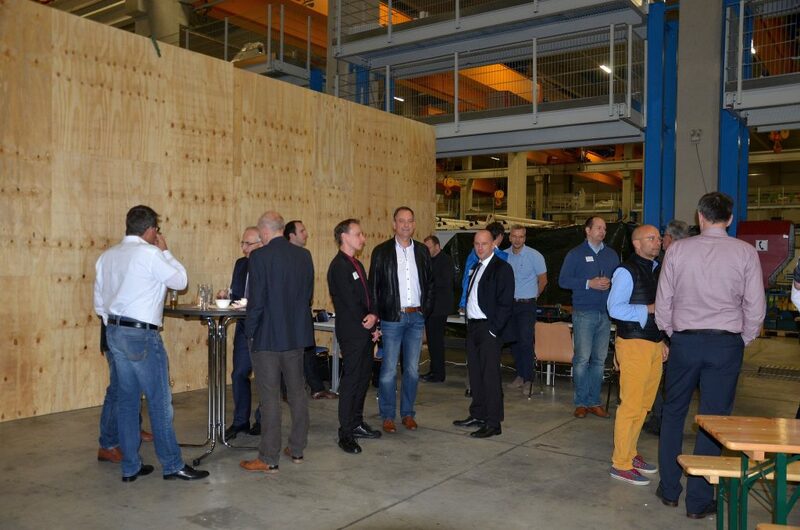 In addition, interested visitors of some specialist institutes arrived. The Federal Government communicated the project “Industry 4.0” with the aim of interlinking industrial production with modern information and communication technology. A networking of all systems in the course of the “Industry 4.0 Process” is of central importance for the metal and electrical industry as well as the exporting machine construction industry. KAMPF made this topic a lead theme of its development agenda at a very early stage. The company founded the “Converting 4.0” network. The goal was to create solutions for the digitized processes of the future in interdisciplinary teams – to great success. In spring 2017, KAMPF presented the new product “the@vanced” as the basis for a partner network to map the entire value chain, and the first external network pioneers started together with KAMPF: The absolutely new integrative platform the@vanced received a thoroughly positive market feedback. This software serves as an instrument to increase efficiency, not only of the slitting and winding technology, but of the entire production process. Products or components are networked on this platform, and the data is holistically evaluated and used to initiate appropriate optimization measures. “Entry into the digital future”, “Transformation of a medium-sized company”, “Converting 4.0 – Connecting-Innovative-Networks”, and ” Agil-Collaborative-Organization”. The participants also received detailed information about the integrative platform the@vanced. In the afternoon workshops were offered, the results of which were discussed in a concluding discussion. The feedback from the participants was consistently positive. The developed thematic memory is well filled and serves to plan other networking events. Since one thing is certain: The Converting 4.0 network continues to grow. A big thank you to all participants and organizers who contributed to the success of the event. 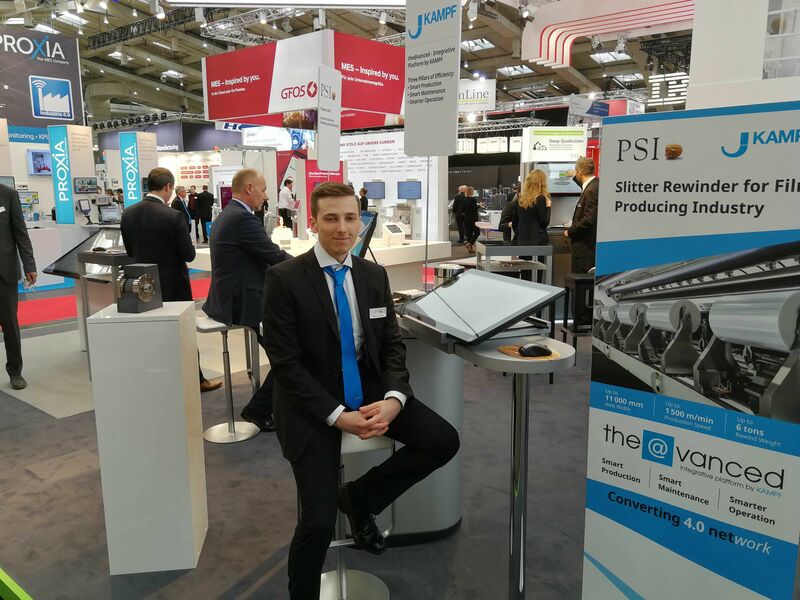 A KAMPF primary slitter type Universal 89/12 BOPP and an Unislit II 630 slitter especially for metallized film are already running successfully at Packaging Films Pvt. Ltd. (I PAK), in Lahore, Northern Pakistan.The innovative manufacturing company I PAK faced the growing demand for packaging material in the northern region of Pakistan and decided to enlarge its product portfolio. Therefore I PAK invested recently in a new 8.7 m wide BOPP Line. 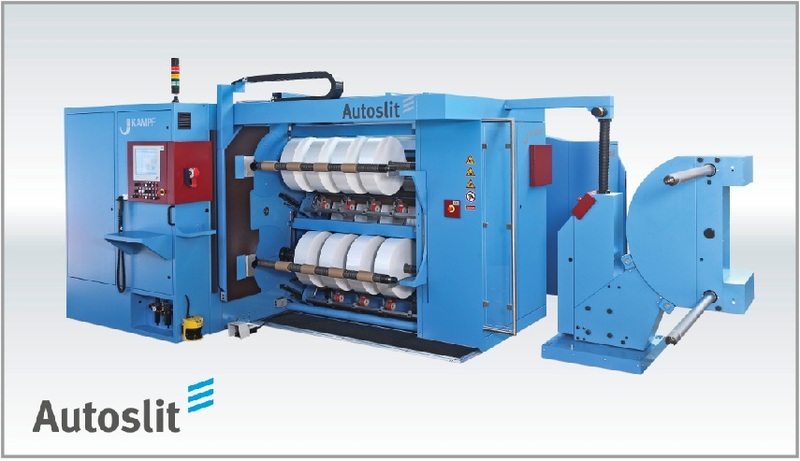 The slitting equipment for the new production site was ordered again from KAMPF: Two high capacity roll slitting and winding machines. Both are characterized by high performance parameters. 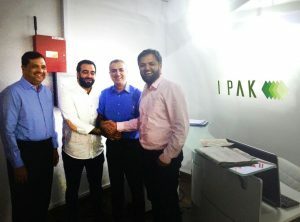 Amir Rezai, Senior Sales Manager KAMPF:” Both machines meet the demanding requirements of I PAK and guarantee best quality and flexibility.”Kafil Shaikh, CEO Kgroup Agency in Pakistan’’ It is a first BOPP line in Lahore and it helps the local convertor to get the material of high quality just in time, as I PAK is managed by experienced professional people”. 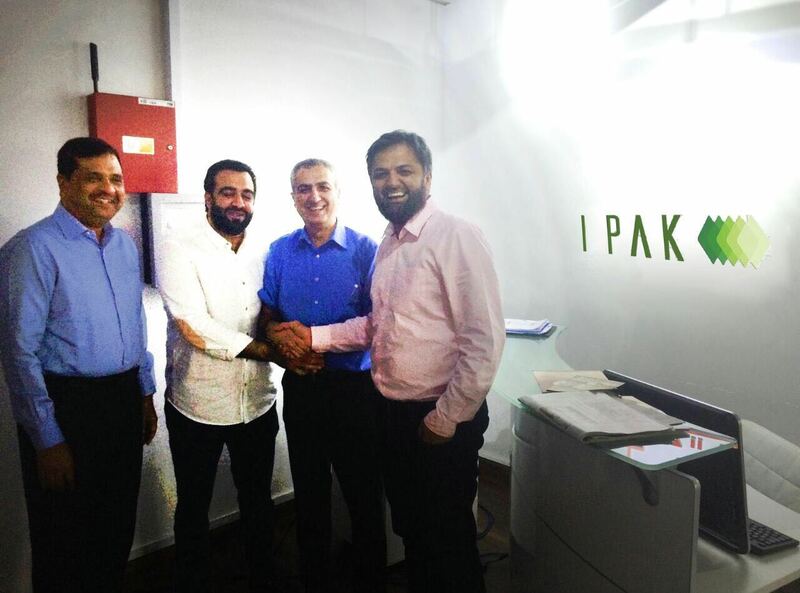 Taimoor Iqbal, Chairman I PAK and Naveed Godil, CEO I PAK agreed. The excellent cooperation and expert advice from KAMPF in exchange with the IPAK specialists was the key to the successful realisation of the project. Image (KAMPF) Pleased with the good cooperation! Safety and value maintanance of your machine – all life long – worldwide! At K 2016 show ( 19. – 26. 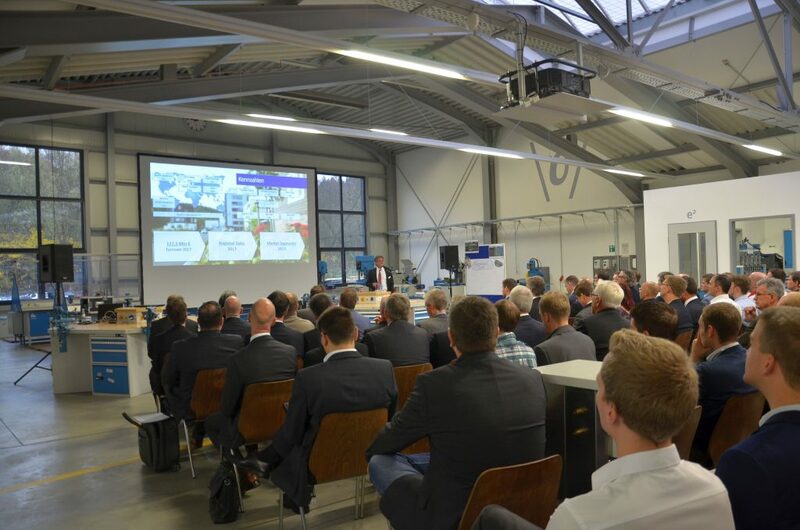 Oct.) in Duesseldorf, the KAMPF Lifecycle Services team reports on new products from the comprehensive range of services. In recent years, the portfolio of the KAMPF Lifecycle Services has been greatly expanded. In addition to the customer service, the KAMPF Service Portal (KSP) for fast 24/7 online help, retrofits and used machines the KAMPF Academy is a real highlight and enjoys popular demand. The visitors find information about training opportunities and individual courses. Visitors receive information about training opportunities and individual courses. The courses include basic and advanced training, security and on-site training and many more. At DRUPA 2016, KAMPF will present a comprehensive range of products in the area of slitting and winding technology for web-shaped materials. 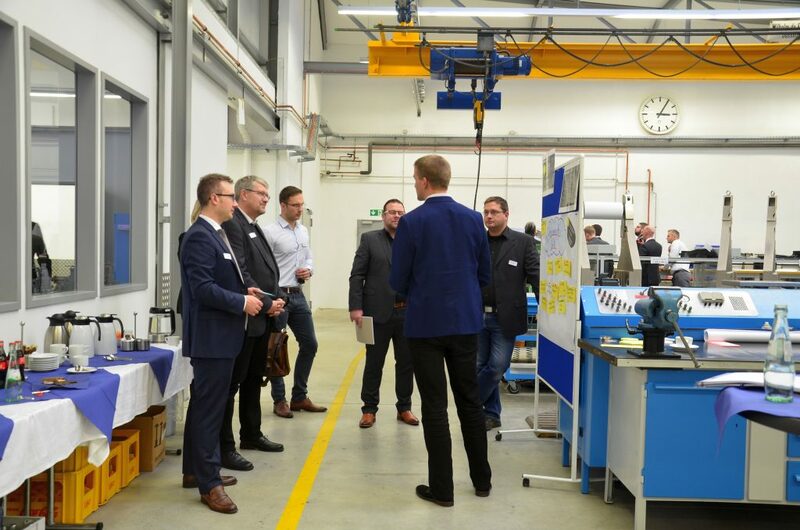 Visitors to the show will be informed about latest developments, which are already been realized in part within the KAMPF slitting and winding machines. With the slogan “Beyond slitting and winding” KAMPF as the leading manufacturer of slitting and winding machines meets the challenge of requirements and needs by the market of comprehensive information on productivity and efficiency of the machines and processes as well as on the quality of the final products. We look beyond the limits of the machines. Modern, intelligent controls and the possibility of networking with other systems and machines in the process chain are already possible today. At DRUPA KAMPF transmits an impression of the systematic approach to the development of cross-process and safer solutions for the smart production landscape of the future. The team from our KAMPF Lifecycle Service will report on new products from the comprehensive range of services and focuses on the KAMPF Academy with its individual courses. The company Kampf LSF, a 100 % subsidiary of KAMPF, stands for technical innovations in the manufacturing of special machines and plants. The LSF experts will present its extensive product portfolio as well as recent, innovative projects to the international audience. The organizers recorded the four Chinaplas days from May 20 to 23 as a great success. The number of visitors has risen again significantly compared to previous years – more than a quarter of the visitors came from overseas. 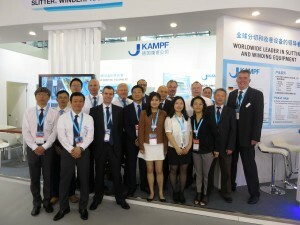 The KAMPF booth at the Chinaplas which took place in the Southern Chinese city Guangzhou (always in alternation with Shanghai) was very well attended on all days. The talking points covered the entire products and services of KAMPF. Of particular interest was the machine portfolio for battery applications. The professionals of this rapidly growing industry convinced themselves of the KAMPF references which to date has quite an excellent set of machine for battery foil in production to quote. KAMPF is completely satisfied with the result of the exhibition; new projects, numerous contacts and particularly pleasing the signing of several contracts for the supply of converting machines for the Chinese market which succeeded all expectations of the KAMPF team. After a successful exhibition we want to thank all our visitors for their interest in our products and the good expert talks we had. The film producer Treofan invests around 30 million euro in the construction of a new production line at its largest development and production facility in Neunkirchen, Saarland. 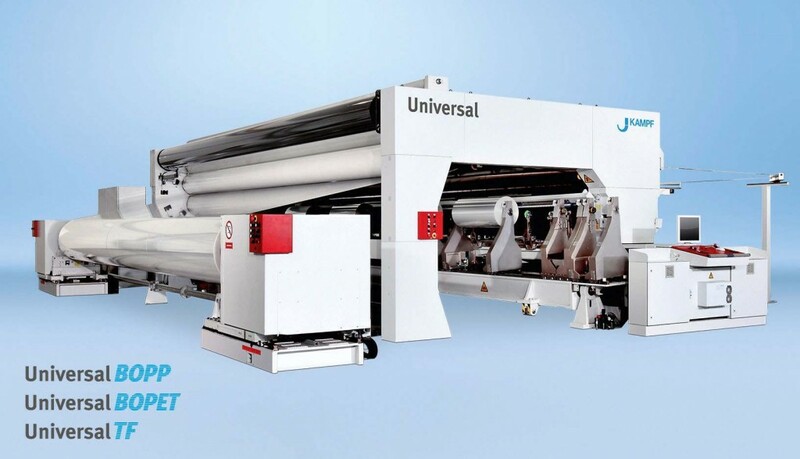 Kampf Schneid- und Wickeltechnik GmbH & Co. KG received an order from this leading global manufacturer of BOPP film to supply a slitting machine, type Universal BOPP which shall already be in production in June 2015. The machine concept meets the high quality demands of Treofan and offers maximum productivity: speeds up to 1,500 m/min and high availability by core feeding – , roll removal – and blade change – systems.